I’m somewhere in Maryland where is not the somewhere in West Virginia I want to be. 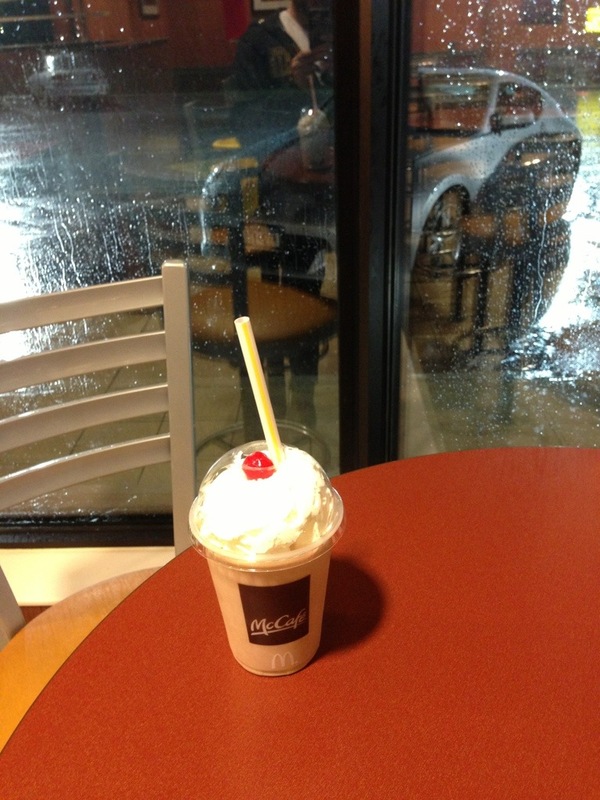 Taking refuge at a McDonald’s with Wi-Fi while I wait out a heavy storm. I’m not going to drink this shake because it has 600 calories but I felt bad sitting here for free. Not that I’m on a diet. I just had Hershey ice cream at a restaurant in Pennsylvania one hour ago. Today’s favorite road has been Highway 220 in Pennsylvania, which I took from 76 W. Pennsylvania has some of the best maintained roads. Unfortunately, that means there’s construction every few miles. In Maryland I’ve barely seen any construction and I could feel the results of that. The deluge is stopping so I’m going to get back on 68 W. and end up in Clarksburg probably later than the bars are open.